This is the 3rd annual COUTURE & CARS FASHION SHOW at the LeMay – America’s Car Museum on Saturday, July 20th from 6:30 pm - 11: 00 pm. We have merged our love of fashion and cars to bring you this unique fashion show experience! We will be showcasing both couture clothing designers and couture accessory designers from the northwest region. The event doors will open at 6:30 pm, we will have a live DJ, designer booths and red-carpet photos available before the show. The seating for the show will begin at 7:00 pm and the fashion show will start at 7:10 pm sharp. There will be an after-party at the venue following the show. Attendees should dress Fashion Trendy/Fashion Casual. The event is open to ages 10 and up. If you have any questions, please email info@fashiondistrictnw.com. 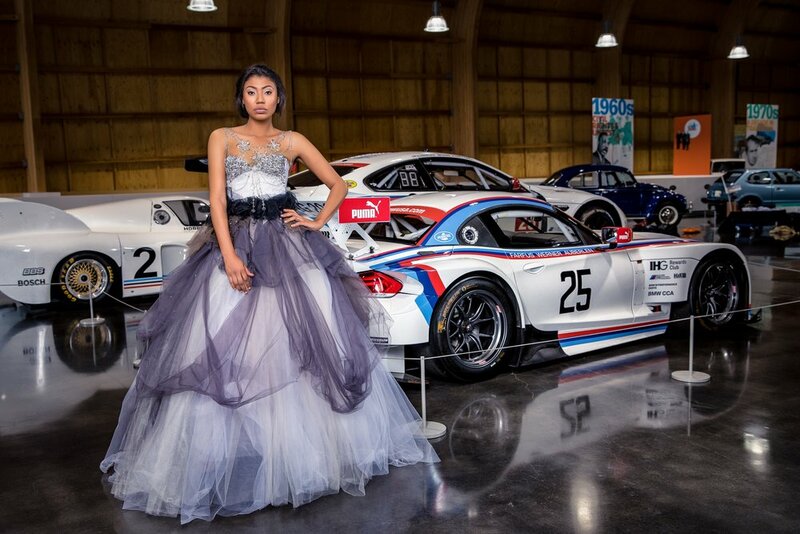 We are currently accepting applications for the 2019 Couture & Cars Fashion Show. For this years show, we have 6 spots for couture clothing designers to showcase collections between 12-24 looks. The event will be held again at the LeMay-America's Car Museum. It provides us with a unique venue to showcase high end couture fashion. This event was tailored specifically to fit the needs of couture designers by focusing on connecting you directly to the audience. We are looking for sponsors for the 2019 Couture & Cars Fashion Show that will contribute to the luxury look and feel of our event. We are very selective of the sponsors we partner with for our events. Sponsor can contribute to an event either as cash donation or as an in-kind donation. If you are interested in being a sponsor, click the learn more button for more information. The COUTURE & CARS FASHION SHOW IS PRODUCED BY FASHION DISTRICT NW, ALL CONTENTS ARE COPYRIGHTED.